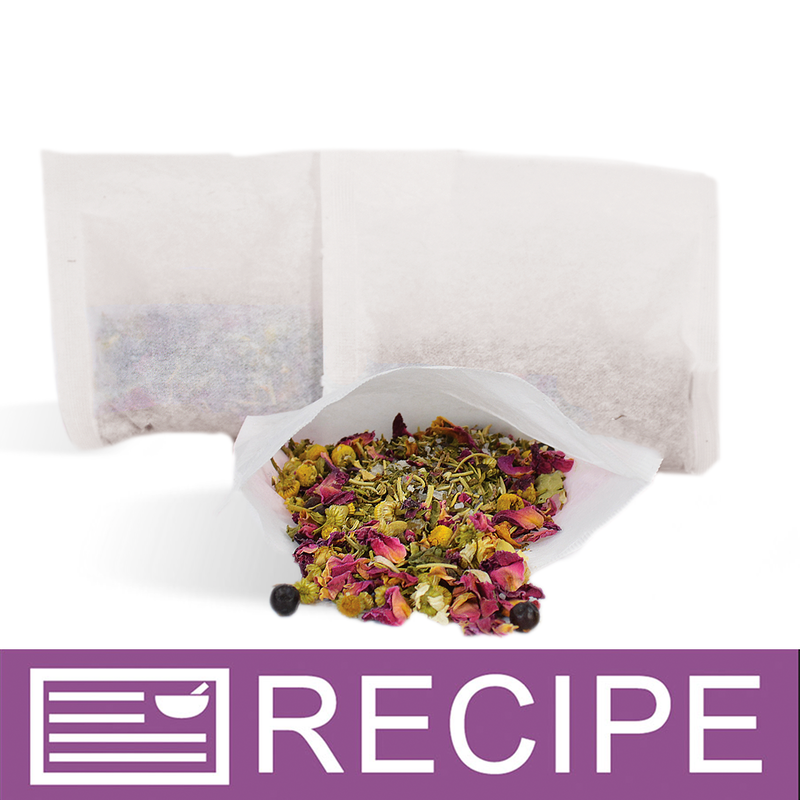 A medley of spa ingredients is packaged in these convenient bath tea bags in this easy project. 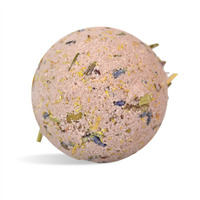 Chamomile, lavender, spearmint, rosemary, juniper, rose petals and salts make up the bulk of this bath tea. Lavender essential oil adds the strong floral and herbal scent to the product that is an appealing aroma for many. We love the ease of using a bath tea bag versus having all sorts of floaters that can stick to the tub after draining. You Save $27.32 by purchasing this kit rather than buying the items separately. 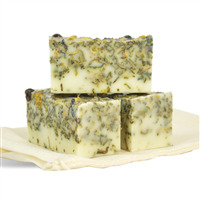 Rosemary Leaf, Spearmint Leaf, Rose Petals, Chamomile Buds, Juniper Berries, Spa Salts, Lavender Essential Oil. COMMENTS: Followed the directions. I tried one in my bath and I didn't even smell the lavender. COMMENTS: This was part of my initial foray into making in-bath products. This was so easy a child could easily do it. The products with the kit were of the best quality and the end result was a professional looking product in a minimal amount of time. Testing these in the bath showed that the tea bags themselves held up extremely well to both water penetration and to numerous wringing. The scent was very mild and in the future I may need to increase the amount, but the effects of the salt along with the botanicals was excellent on my skin. COMMENTS: I initially bought this so I could sell them but I honestly loved this so much I think I ended up keeping and using most of it. It's really easy to put together, smells like bliss, and since it's in a tea bag there's no clean up afterwards. COMMENTS: Graat kit! Was easy to make. COMMENTS: Made these to go in spa gift bags...Quick and easy with a pleasant scent. COMMENTS: This is a great addition to my product line. I love to offer clients new and different things. I would like the kits to be offered in different fragrances as i would like to do more. But I am very satisfied with this product and super easy to put together. "Love, love, love this kit!" COMMENTS: This was the perfect kit to jump start my new side business! COMMENTS: The was an easy project with a heavenly scent. The bath tea was a best seller at my holiday boutique. Great aromatherapy project. COMMENTS: Very easy to make. It makes much more then it says, I added an extra fragrance to mine and it smells even better very clean and crisp scent. COMMENTS: Love the kit. My customers loves them and request them constantly. Great gift for teachers, co-wokers, and moms. COMMENTS: This is a great kit!!! Love the smell and look and they are really easy to make!!! COMMENTS: Super easy to make and put together. Bags w ere user friendly and the tea scent is out of this world. I had tea left over. Definitely buying again. COMMENTS: These were super easy and fun to make. I love the smell! COMMENTS: I love the aroma. Not a big seller though. Wish the price was lower. Not much profit margin. COMMENTS: I can't seem to make enough of this bath tea with spa salts. I bought some of the ingredients separately but after looking at this kit, decided that was a good way to go when reordering...due to price. I think this kit is a good value. 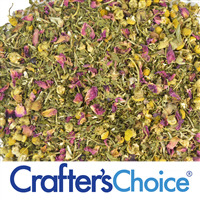 This makes a wonderful aromatic and soothing bath tea which is very popular with customers and is easy on the wallet. The bags have sealed easily and its nice that the bath tea itself stays in the bag and keeps the tub clean. Highly recommend this kit. "Fun Fun Fun & smells great "
COMMENTS: I had a ball with this. It was so easy to make. I did need to just go back and double check after I ironed to make sure I sealed them good. It is easy to see with the tea if you miss a spot and just re-iron it and your done. I ordered another batch of tea and will probably get all the different kinds. My house smells great. This makes a great filler and add-on to a package or a nice "little" something for my budget shoppers that need a little purchase. COMMENTS: These are easy to make and sell well. Will continue to use. "Can you mix this in with soap?" "What would 6 cups be in ounces? I have all the ingredients on hand but I like to weigh my ingredients." Staff Answer One cup of bath tea is approximately 1 ounce. 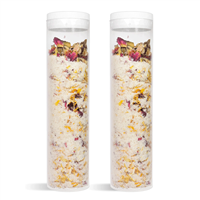 "If I wanted to put this bath tea spa salt receipe in your salt tubes or jars how many of these kits I would need? Tried to figure this out. " Staff Answer This recipe makes approximately 16 tea bags containing approximately 1.5oz each for a total of 24oz. Our Salt tubes hold approximately 6oz each. Therefore you can get approximately 4 Salt tubes out of one recipe. How many jars you get will depend on the size of the jar. "How much E.O do I need to put in when I make the bath tea? Because there is different amount of E.O with this kit and recipe. The recipe said put the E.O 2.5ml for 16 tea bags even though this kit has 2oz E.O for 32 tea bags. I'm so confused with that. Please answer about this. Thanks." Staff Answer The 2oz is the smallest size that our EO's are sold in. Therefore while the recipe only calls for 2.5ml the smallest amount we have to include in the kit for retail is 2oz. Therefore you will only use 2.5ml for 16 tea bags and there will be EO left over after you make all 32 tea bags. "Can this be labeled all natural?" "When you suggest a price for selling retail, how is that determined? The price suggested for these bath teas would not even cover the cost of the kit." "Are these bath teas only good for one use? " they are going to behave just like regular tea bags, I would not reuse them. Another thing to consider is that if you reuse them the full benefits of the contents will not be there anymore. I would suggest one time use only.